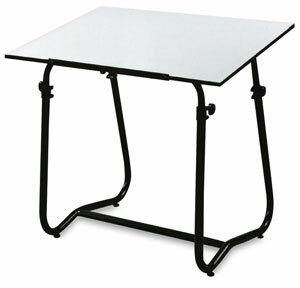 The Tech Drafting Table from Studio Designs is an affordable yet practical choice for home, office, dorm room, or studio. It features a white work surface mounted on a sturdy tubular metal frame with a durable powder-coated finish. Some assembly required.